Junior! is a adventure/comedic series revolving around a brand new generation of smashers and their own separate lives. See how Bowser Jr, Princess Plum, and Red develop in this exciting story! 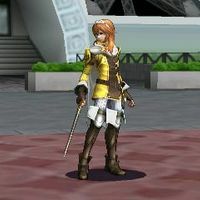 One of the main characters. Princess Plum is the daughter of Queen Plum, also next in line to be the ruler of the fourth world. In the middle of her crowning, her ceremony is interrupted Dark Link and his army of androids which resulted to her kidnapping. Her location is currently unknown, but she struggles for survival through out the series hoping for someone to AID her in this time of need. Princess Plum is extremley important to the series! Looking for a teenage or young adult voice. I am not against a brand new take on her voice so try anything out! You don’t have to speak so formally with me. Hi, my name is Plum. The pleasure is all mine. I just wanted to say that I'm looking forward to us working together to make The Fourth a better place. As Princess of the 4th world I ORDER you to tell me who you are and why I am here! Lunica is in charge of her own group just like Saprano. She and her group is sent on a rescue mission by Queen Peach during Princess Plums absence. She uses this opportunity to attempt to 1-Up Saprano and his group so she can become the new Head knight. Her personality is very determined, very serious, and a natural born leader, but she can also come off as very cocky since she is very straight forward and honest with her answers. Her goal of greatness can easily blind her judgment. 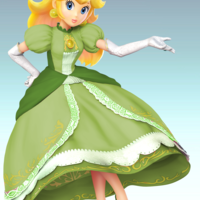 Queen Peach, I swear on my life that I will not fail you. I will find Princess Plum and make sure that the fourth world is transitioned back into a safer environment. Cloud... Ganon... This is our chance to shine. Vast in this moment of excellence. Starting now, our journey to the top of the Knight Organization begins. I didn't come here to fight you. I came here to violently kill you. One of the two members of Lucina's team. Ganon has the reputation of a loner. He isn't very talkative and doesn't speak unless spoken to. He may be quiet but he plays a huge role in the Lucina team rotation due to how strong he is physically. 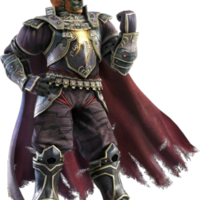 I'm looking for a deep voice for Ganon but if you have your own take on him I'm willing to take it under consideration! One of the rare machinima's where Ganondorf plays a good guy role. So you basically need me to break anyone who gets in our way? Sounds easy. Is there something you need? If not i'm going back to sleep. Iv'e made it a policy not to second guess my instincts.